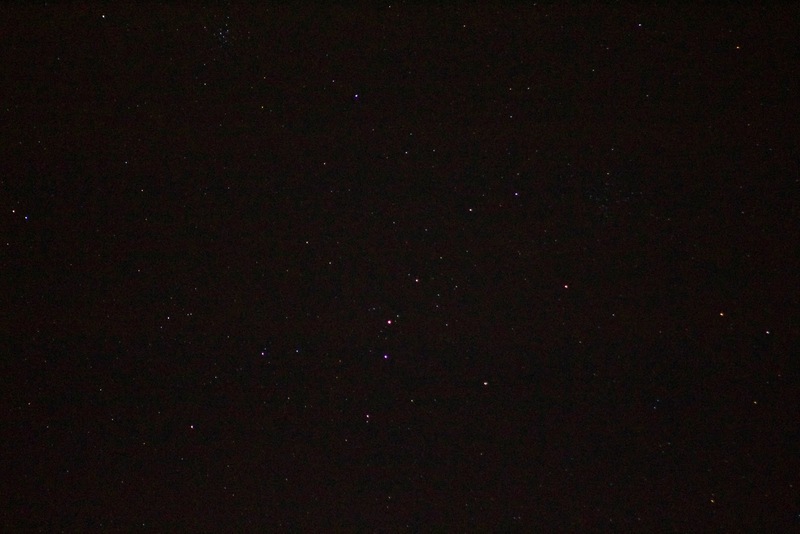 The constellation Auriga is not one I have spent much time in before last night. With the exception of the bright star Capella, this large pentagon did not catch my attention until several objects were included on this month's observing list. 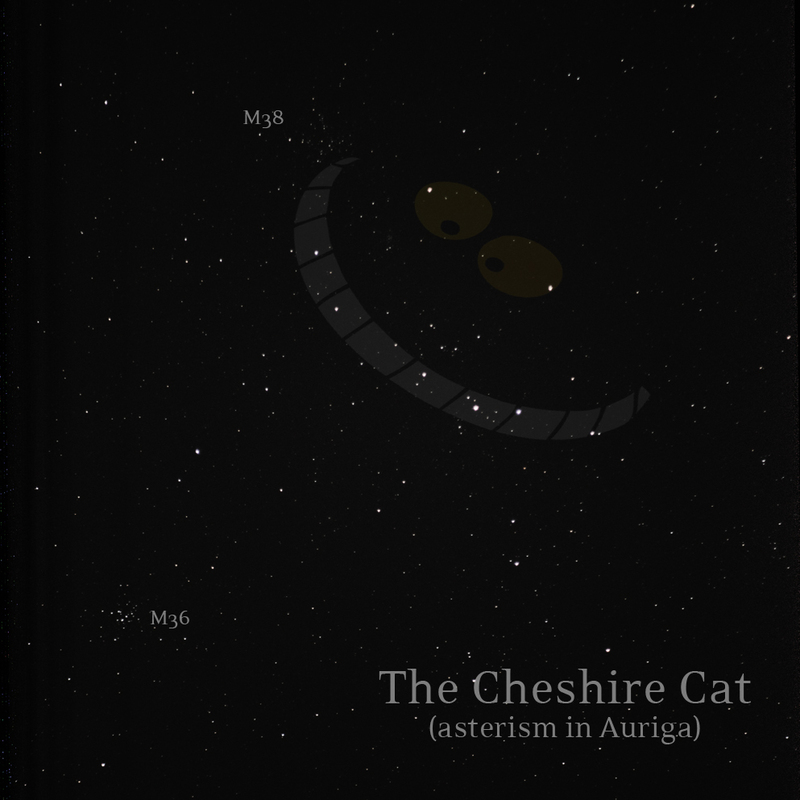 Specifically, Messier objects 36, 37, and 38, and a playful asterism known as the Cheshire Cat since the name was coined by Ben Cacace in 2002. 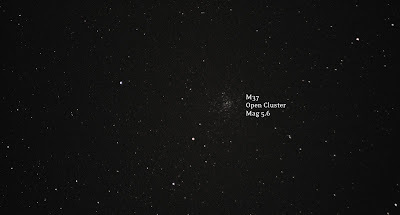 Open cluster M37 was just far enough away from M36 to not fit in the same frame with my lens zoomed in to 300mm. 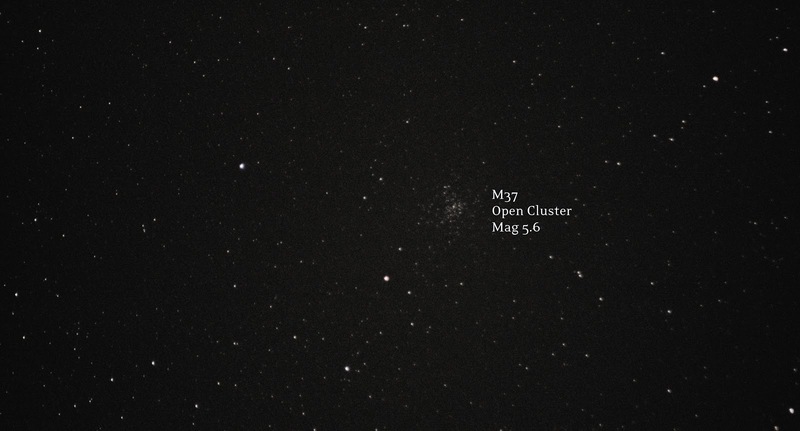 I attempted to make a mosaic of the clusters in relative position to each other, but there wasn't much overlap and it looked like two separate photos placed next to each other. Not quite the effect I was going for, so I just posted them separately. 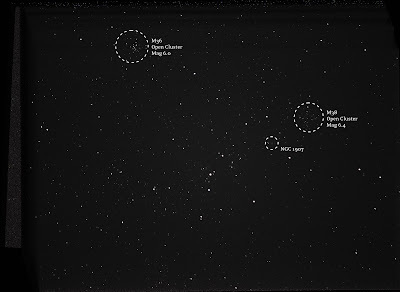 I did get the Cheshire Cat asterism, M36 and M38 in the same field of view at 300mm. 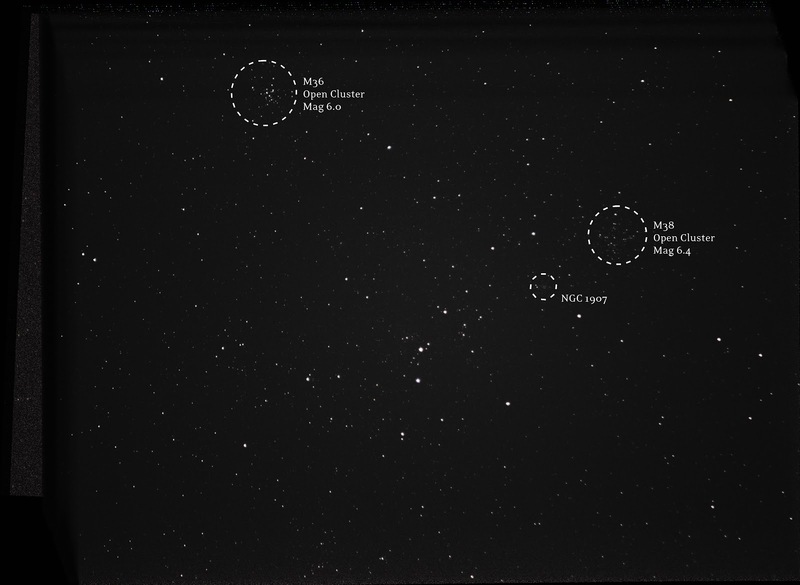 Two Messier objects in the same shot, and 3 observation list items in a single frame! Now that's efficiency! 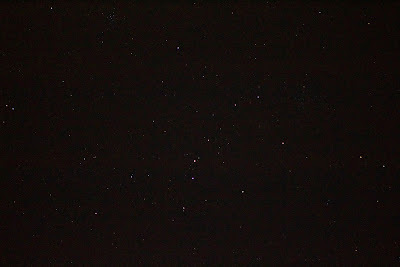 Do you see the asterism? It's actually a lot easier to see through the camera viewfinder and in single exposures. In these stacked images, the fainter background stars emerge and make it more difficult to recognize the pattern. I'll try to help you out! Below is the same image as the one above at a 90° counter-clockwise rotation. 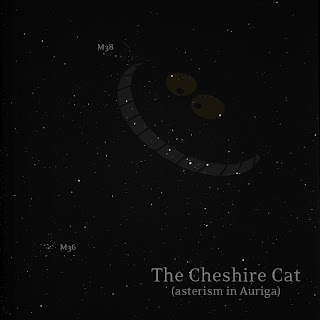 I've taken the Cheshire Cat face and overlayed it onto the asterism in an animated .GIF image. The eyes don't quite line up, but it's recognizable as a face nonetheless - classic example of pareidolia, the human tendency to recognize images and shapes in otherwise random patterns. I'm well on my way with 4 objects from January's novice/urban observing list. Woohoo! I'm waiting for this severe cold spell to pass before trying to set my EQ mount up outside. M42 is going to be my first target!